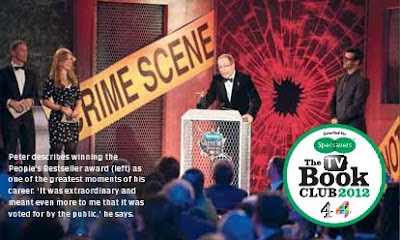 Specsavers Crime Thriller Awards Winner Talks About His Thrilling Life. Not many people know this but in Russia, British crime author Peter James is a bit of a literary rock star! 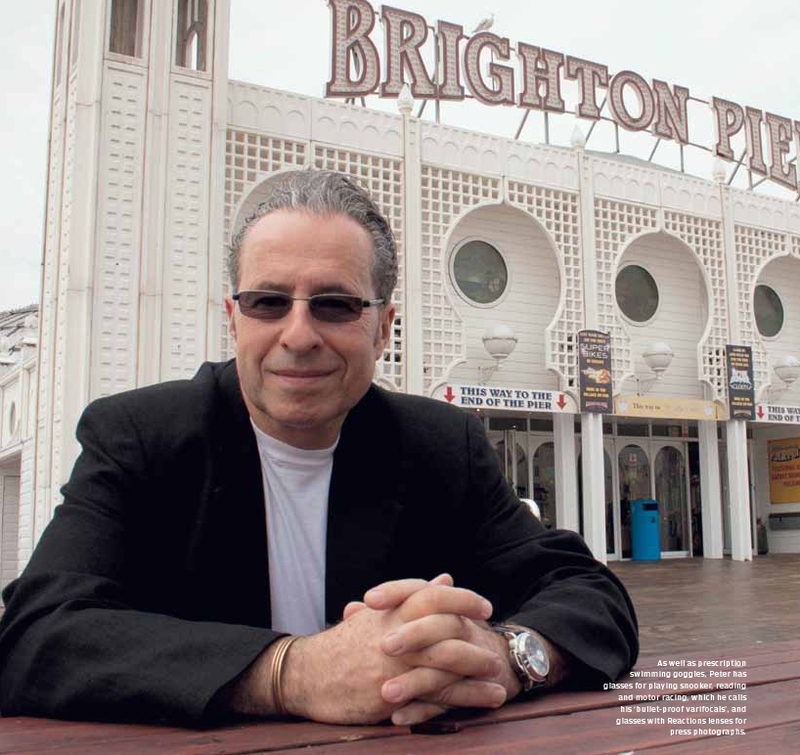 Six or seven hundred people will turn up for a book signing when he tours with the latest in his hugely popular Roy Grace series, set in Peter’s home town of Brighton. Winner of the 2011 People’s Bestseller Dagger at the Specsavers Crime Thriller Awards, which we are sponsoring for the fourth consecutive year, Peter’s benign bespectacled appearance belies the thrill-seeker within. ‘I have always had a passion for speed,’ he says over tea and cakes in a sedate London hotel. As a youngster he was asked to train for the British Olympic ski team, he is a keen sailor and, at the age of 55, loves nothing better than a spot of motor-racing in a touring car. Peter’s books have been translated into 34 languages but, although he began jotting down his thoughts in a notebook at the tender age of seven and had written three novels by his teens, he flunked his A-levels when he discovered, as he puts it, ‘girls, poker and cigarettes’ and ended up at a college in Brighton with literary giant Martin Amis. He then went on to film school and began his creative career as a TV and film producer, working in children’s television and on horror films in Canada. One of his claims to fame is a comedy called Spanish Fly, which film critic Barry Norman called ‘the worst ever British film’, and the 1973 wartime drama Blockhouse, that starred the late great Peter Sellers. He also tried his hand at writing spy novels but it wasn’t until he started following the advice of a friend – that you will only succeed if you write about what you’re passionate about – that he hit the big time. It was a chance meeting with a policeman after a burglary at his home in Brighton that Peter found his true niche and the Roy Grace detective novels developed, with their gritty realism and fantastic sense of place. ‘He was really helpful and my wife and I became good friends with him and his detective wife and all their police friends. I found their world fascinating and he gave me the confidence to branch into crime writing. Peter thinks there is still a certain snobbishness about the crime thriller genre – ‘Perhaps it’s because we sell more and know to write a really good plot’ – and as chairman of the Crime Writers Association he works hard to break down the barriers between crime novelists and literary fiction writers.